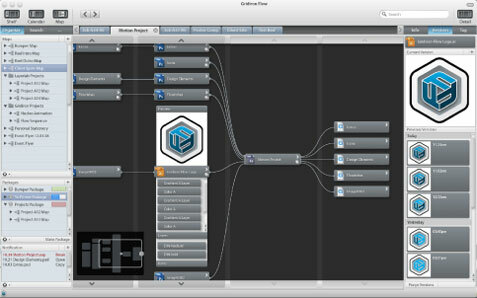 GridIron Software (known for their render software Nucleo Pro for After Effects) are developing a very promising new product: Flow, a work flow management application for designers. “Oh great, like I have time for that”, you might be thinking. It’s true, most of us just want to create and not worry about organization (personally, I hate tagging files), and really, who has the time? And this is exactly where Flow promises to help: you don’t need to change anything about your current work methods. Flow runs in the background and monitors everything you do in creative applications (especially Adobe tools), doing everything automatically and invisibly without a single interaction on your side needed. It knows which files belong to a project, from which files you copied assets to other files and the implications on a project if you change (or delete) a file, what fonts are needed, etc. It does automatic versioning (like Apple’s Time Machine). 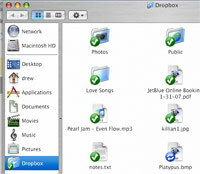 It even lets you easily create packages of all the files necessary to pass them on to third parties with ease. Their guided tour explains all of this in more detail, I suggest having a look. Bring bad design to justice with the help of your friendly neighborhood design police. Ever since the releases of the Web Developer and Firebug extensions in Firefox, things in the world of CSS and HTML work have become a lot easier. Sadly, a lot of what will work in almost all browsers still massively messes up in Internet Explorer. Knowing a few things about IE like hasLayout helps a lot, but sometimes even those fixes don’t work and you’re left trying out every conceivable hack known to man. 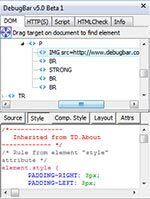 Wouldn’t it be great to have something like Firebug in IE? Apparently Jean-Fabrice Rabaute thought so too, so he’s releasing DebugBar 5. Someone give this man a cigar. “In April 2007, A List Apart and An Event Apart conducted a survey of people who make websites. Close to 33,000 web professionals answered the survey’s 37 questions, providing the first data ever collected on the business of web design and development as practiced in the U.S. and worldwide.” Get the survey results here. There are innumerable creative aids, and most of them require an ability to visualize. Some people aren’t good at visualizing, so imagining different colors or objects can become a daunting task. Forget about trying to visualize how a room should be arranged; that’s next to impossible. Sound familiar? Excommunicate.Net offers up 10 ways to help you improve your visualization skills with a few established and a few very unconventional methods. If you’re into Linux or open source software in general, or just can’t afford the expensive professional applications, you may want to have a look at Ubuntu Studio, an offspring of the increasingly popular Linux distro Ubuntu, targeted towards creative professionals and enthusiasts, be that designers, film producers or audio specialists. Ubuntu Studio comes with an array of applications striving to offer free alternatives to the expensive industry standards. While I can’t speak on the quality of said applications as I haven’t tried them, I think Ubuntu Studio is a good endeavor that’s worth looking into. If you prefer to stick with your OS of choice, you might like to bookmark this list of free and open source software for Windows and Mac. Last but not least, I’d like to point you to a great article by Shahid Shah on open source alternatives to Adobe’s Creative Suite. Shahid has taken the time to “trawl through the World Wide Web to find out how everyone can benefit from Open Source to build up their own studio and compete against Adobe Creative Suite”. Good links in there. Really quick one here: Pete Bauer at Planet Photoshop shows us a little technique called “step-and-repeat“. It’s quickly learned and can save you some time while creating repetitious patterns, such as bricks, footsteps, a clock face and the likes.